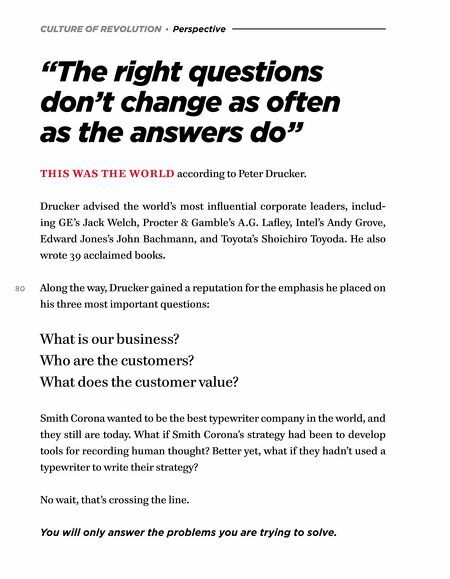 CULTURE OF REVOLUTION · Perspective "The right questions don't change as often as the answers do" THIS WAS THE WORLD according to Peter Drucker. Drucker advised the world's most influential corporate leaders, includ- ing GE's Jack Welch, Procter & Gamble's A.G. Lafley, Intel's Andy Grove, Edward Jones's John Bachmann, and Toyota's Shoichiro Toyoda. He also wrote 39 acclaimed books. 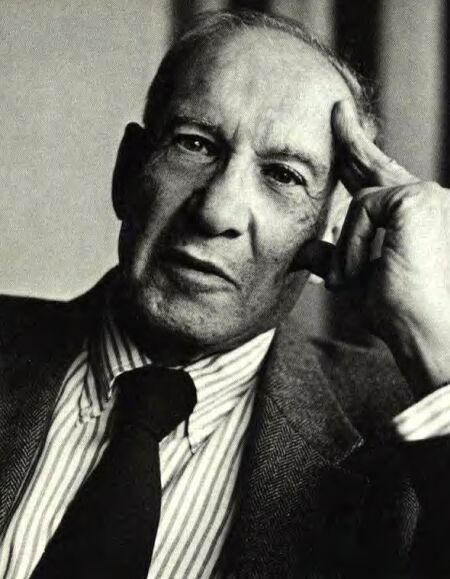 80 Along the way, Drucker gained a reputation for the emphasis he placed on his three most important questions: What is our business? Who are the customers? What does the customer value? Smith Corona wanted to be the best typewriter company in the world, and they still are today. What if Smith Corona's strategy had been to develop tools for recording human thought? Better yet, what if they hadn't used a typewriter to write their strategy? No wait, that's crossing the line. You will only answer the problems you are trying to solve.